The Oliver Bar Stool by Howard Miller has the straightforward appeal of some Federal style furniture. 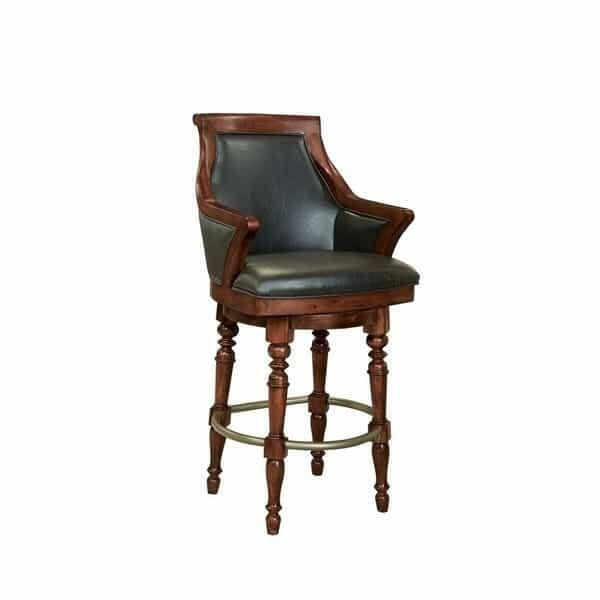 This comfortable bar stool is finished in Howard Miller’s exclusive Americana Cherry stain and has black faux leather seat, back and arms. Accented with an antique brass-tone metal footrest, the Oliver Bar Stool by Howard Miller is just what you need to bring that basement bar area up a notch.